Have y'all seen the trailer for The Sims Mobile? It looks pretty cool! Unless they add the mind numbingly boring endless quests like they've done to Freeplay it might actually be fun! I saw it and thought it looked so cool! I was so excited about being able to play Sims on my tablet, which is so much more convenient than on the laptop. And they are showing so much content already, toddlers, generational play, interactive careers, easy customization and building tools! But now I'm seeing that like Freeplay, it will be played in real time. I wonder if that's "real" real time, or like Freeplay where it takes 24 hours to bake a cake. Of course, you can continue playing if you spend real money to speed it up. I realize that is how they make their money to support a "free" game. But any game that only allows me to play for a few minutes, then wait (or pay) to continue cannot keep my interest, and I always end up deleting them. When I have time to play, I just want to sit and play until I'm ready to do something else. I wish game makers would start thinking of tablets as just another medium for playing, instead of something only for playing in short bursts between other commitments. I would rather pay for the game upfront than have to pay as I play. It looks really great, although I bet it'll take around 1 GB on your device lol. As the graphics look amazing plus it seems like there is a lot of stuff to explore. I actually prefer the way FreePlay runs on real time. What I got fed up with was the questing that started with the death update. Hope they've learned their lesson. We want creativity options not brainless questing. I'm thinking about downloading this game when it comes out. Looks exciting, I'm just worried about the future of SFP. I know they say both apps are going to run side by side, for now at least. But what about a year or two down the line? SFP had finally been getting interesting again and out of its death-and-career induced grind slump, and I'd hate to see it get discontinued. I don't know. Just my fears for the game, and I tend to jump to worst-case scenarios. But also don't want to feel cheated out of my time because they cut the life of the game before its time was up. Brand new game "The Sims Mobile" coming..
looks similar to the Sims 4, we can change sims' shapes and have different shaped rooms other than square etc.. I don't know how to feel about this, I'm kinda happy but sad at the same time as I don't really want to lose 5 years of playing SFP. Hopefully this won't replace SFP. Yup I feel the same. I saw the announcement and thought, well this is the end then. Although it has a very sims4like graphics all the gamplay they showed to me looks like sims freeplay with an overhaul, like the way rooms are build and how cas works. Basically sims look a bit higher poly, you can paint separate walls in the rooms and in cas all the recolors are now in their own little separate menu, other than that it looks like it uses a very similar engine. I mean it depends how long it will take for the game to come out, sims freeplay could still last some time and then it depends if people will be willing to switch one game for the other(probably I mean it is a free game). 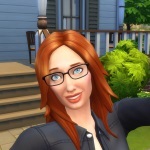 I don't mind having a new sims free to play game with better graphics, but it took me so long to accumulate a decent number of lifetime points and social points and I dread doing this in the new game, if there even will be a reliable way to get those money points without spending real money. I've opened up a section of the forum for it as I suspect we will get a lot of people playing it.